Let’s figure out the dimensions of cones. For each equation, decide what value, if any, would make it true. The volume $V$ of a cone with radius $r$ is given by the formula $V=\frac13 \pi r^2h$. $$64\pi =\frac13 \pi r^2 \boldcdot 3$$ What does the radius of this cone have to be? Explain how you know. Each row of the table has some information about a particular cone. Complete the table with the missing dimensions. 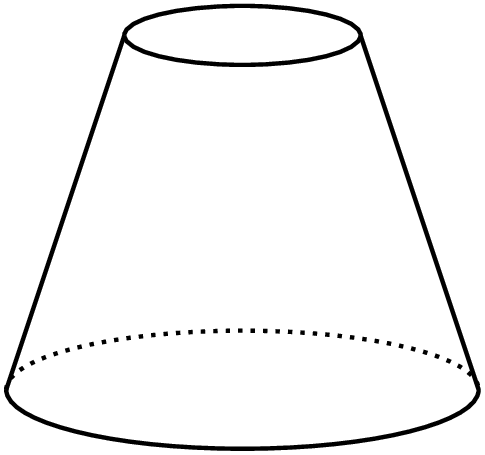 A frustum is the result of taking a cone and slicing off a smaller cone using a cut parallel to the base. Find a formula for the volume of a frustum, including deciding which quantities you are going to include in your formula. 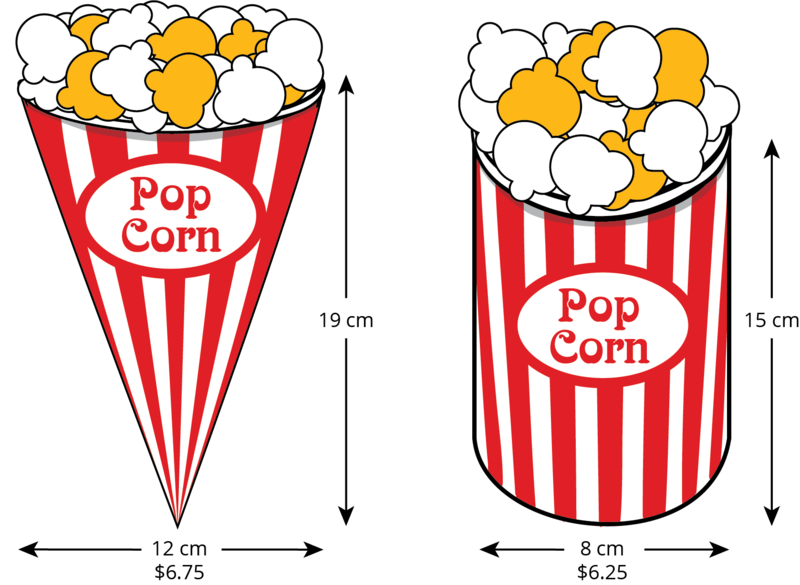 Which container is the better value? Use 3.14 as an approximation for $\pi$. If we know the radius and height, we can find the volume. If we know the volume and one of the dimensions (either radius or height), we can find the other dimension. Looking at the structure of the equation, we can see that $r^2 = 64$, so the radius must be 8 cm. so the height must be 6 cm. Can you see why?